Club Paradise Palawan is a place that sounds too good to be true. 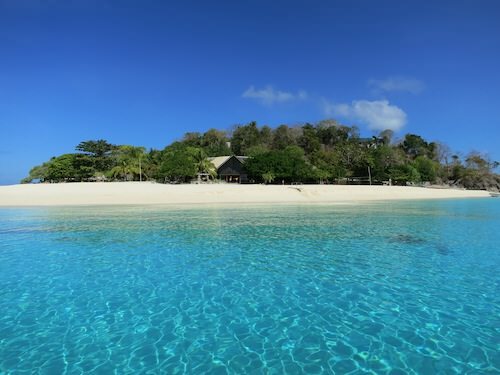 The resort is located on a tiny private island called Dimakya next to Busuanga Island with white sand and crystal clear water. We already wrote a post about “Three luxury beach resort hideaways in Southeast Asia” but what makes Club Paradise truly special is that it affordable and easy to get to. Most guests come from Europe or Asia and spend their time diving, island hopping or swimming in the pool or the ocean. There are several daily flights from Manila, and even from Cebu to Coron (Busuanga Airport). Cebu Pacific and Air Phil Express are the main carriers. From the Busuanga airport, it is a 30-minute car ride to the pier and from there, a scenic 30 minute boat ride to Club Paradise. The resort will pick you up and take care of all transfers. It is easy to leave in the morning from Hong Kong, Bangkok or Singapore via Cebu or Manila and arrive at the resort in the afternoon. 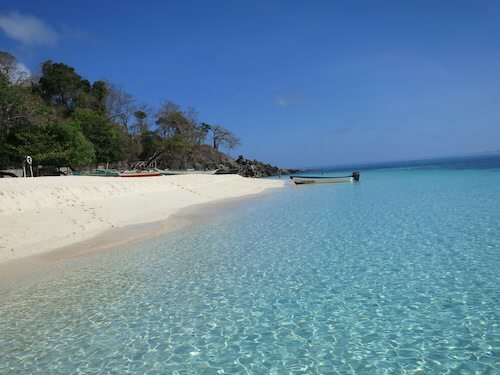 Swimming, snorkeling and diving are the main activities. The reef surrounding the island, known as the Housereef, is a favorite site because of easy access and its abundant marine life. Next to this reef is a known feeding ground for green turtles and the dugong (sea cow). A few other reefs can be accessed from the resort within 20 minutes. Another prime dive site, the Japanese freighter Kyokuzan Maru, can be reached within 30 minutes from the resort. Accommodations include cottages on sunrise beach and sunset beach as well as modern rooms on the hill. The hotel has free WiFi in the lobby and club, a swimming pool, a spa, clubhouse and bar. All meals are included in your stay. The staff is friendly and in traditional Filipino fashion, evening activities include singing, dancing and karaoke.